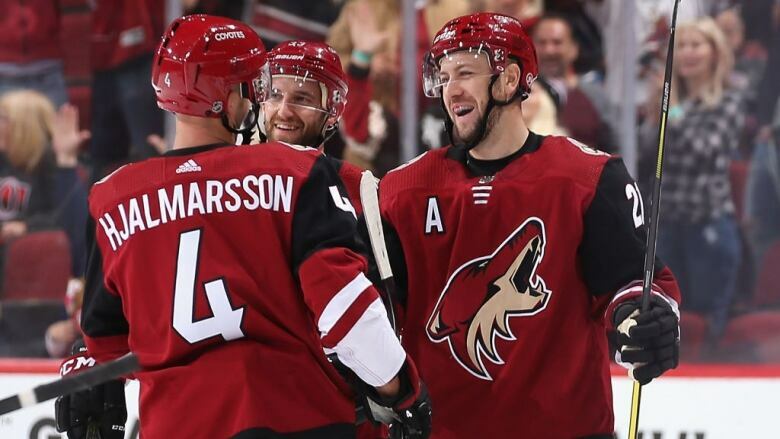 Derek Stepan scored a short-handed goal from his own blue line in Arizona's three-goal first period and Antti Raanta stopped 25 shots, lifting the surging Coyotes to a 5-1 victory over the Ottawa Senators on Tuesday night. Derek Stepan gathered the puck near Arizona's blue line and flipped it toward the other end, hoping to kill a few extra seconds off Ottawa's power play. The puck skittered off the ice and slipped through the goalie's pads, a dump-in turned into an unexpected goal. "You give a team three goals, 90 per cent of the time you're not coming back," Senators centre Chris Tierney said.